This volume presents a historical-textual study about transformations of the aesthetics of the sublime—the literary and aesthetic quality of greatness under duress—from early English Romanticism to the New Poetry Movement in twentieth-century China. 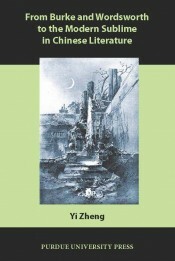 Zheng sets up the former and the latter as distinct but historically analogous moments and argues that both the European Romantic reinvention of the sublime and its later Chinese transformation represent cultural movements built on the excessive and capacious nature of the sublime to counter their shared sense of historical crisis. The author further postulates through a critical analysis of Edmund Burke’s Inquiry into the Origins of Our Ideas of the Sublime and Beautiful, William Wordsworth’s Prelude, and Guo Moruo’s experimental poem “Fenghuang Niepan” (“Nirvana of the Phoenix”) and verse drama Qu Yuan that these aesthetic practices of modernity suggest a deliberate historical hyperbolization of literary agency. Such an agency is in turn constructed imaginatively and affectively as a means to redress different cultures’ traumatic encounter with modernity. The volume will be of interest to scholars including graduate students of Romanticism, philosophy, history, English literature, Chinese literature, comparative literature, and (comparative) cultural studies. "Yi Zheng’s book From Burke and Wordsworth to the Modern Sublime in Chinese Literature is brilliant, intellectually inventive, and morally serious. Zheng is a global comparatist at home in English studies and in Chinese studies. She structures her book by an argument about modernity and culture, taking England around the French Revolution and China in the early twentieth century. In both instances, the modern is registered and elaborated in an aesthetic practice of the sublime. Sublime textual discontinuities produce the psychic exaltation that defines the experience for readers. She locates moments of blockage, repetition, and fracture in the writings of Burke, Wordsworth, and Guo, and she relates these to both the mass and individual grandeurs that her topic also engages. Zheng’s study captures the ambiguity of figures who run ahead of culture, taking risks both in life and art that bring them to the far edge, yet who do so in order to preserve values, as well as to transform them. The sublime has attracted some of the best minds in recent criticism and theory, and Zheng joins their company to strike fresh insights and constellate new patterns in a prose that is both taut and eloquent. This is a notably original work." 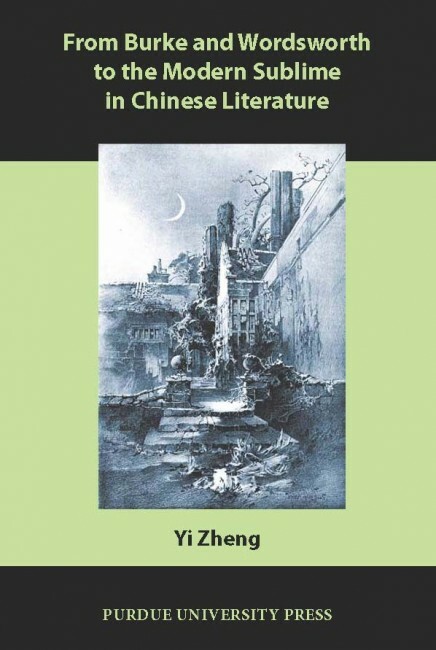 "In this rare revisit of East-West comparative literature, Yi Zheng takes us beyond the convention of influence study and tracks the parallel developments in European theories of the sublime (as formulated by Burke and Wordsworth) and in Guo Mouro’s conceptualization of the sublime as a timely revolutionary spirit in early twentieth-century China. Attending equally to the aesthetics of the sublime and the historical conditions where different strands of theorization and creation arose in response to similar experiences of modernity, Zheng argues that the sublime possesses a special power in historical redirection and may thus serve as an aesthetic redemption of history. With its capacious and yet destructive force, the sublime endows literary agency and enables a modern Chinese writer like Guo (1892–1978) to create a new poetic form and a new poetic spirit at the same time. Examined through a comparative lens, the sublime proves to be eminently translatable across space and time, merging diverse cultural traditions, and generating new poetic personae. Zheng’s From Burke and Wordsworth to the Modern Sublime in Chinese Literature is outstanding scholarship and sheds new light on modern Chinese and European literature and culture study. The book is an exciting addition to Purdue’s series of books in Comparative Cultural Studies." The combination of theory and history is what makes this study interesting and illuminating. Yi Zheng is Senior Research Fellow at the School of Languages and Cultures at the University of Sydney. Her single-authored book publications include From Burke and Wordsworth to the Modern Sublime in Chinese Literature (2011) and Contemporary Chinese Print Media: Cultivating Middle Class Civility (2011) and she has published recently, with S. H. Donald, the articles “A Taste of Class: Manuals for Becoming Woman” in positions: east asia cultures critique (2009) and “Chinese Modernisms” in the Oxford Handbook of Modernisms (2010).